What Is a Superbug Infection? 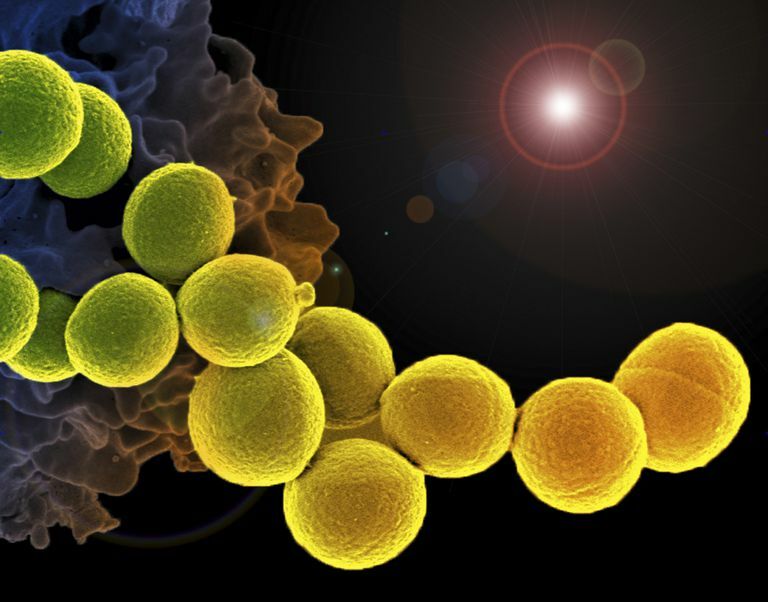 Most people have heard of MRSA, or methicillin-resistant staphylococcus aureus, an infection that is notoriously difficult to treat because it doesn't respond to the antibiotics typically used to treat staph infections. MRSA infections used to occur only in healthcare settings, but in recent years have become much more common in community settings and have gotten significant media coverage. However, what most people don't realize is that MRSA infections are part of a growing trend of superbug—bacterial infections that are resistant to one or more antibiotic(s) that would normally treat the bacteria. In fact, any bacteria can evolve into a superbug. While superbugs can be successfully treated, they are much more challenging than garden-variety infections because, by definition, while a superbug isn't necessarily resistant to all antibiotics, it cannot be treated using two or more. Superbugs are becoming increasingly more common, and are the results of the misuse of existing antibiotics. When a person does not use an antibiotic correctly as prescribed (such as taking antibiotics for viral infections or not finishing all of the medicine), the bacterial infection is not completely destroyed. Whatever bacteria remains is a strain that has evolved to survive the antibiotic that was used. The more often someone uses an antibiotic, the more susceptible they become to infection with a superbug. While many superbugs can be eventually treated successfully, as the prevalence of these hardy bacteria rises, the risk of dying due to antibiotic resistance is estimated to increase. Early in 2017, a Nevada woman died from an infection that was found to be resistant to 26 different antibiotics—all antibiotics available in the United States. She had contracted the infection in an Indian hospital that she visited to treat a fractured leg but was hospitalized for the infection in the United States upon her return. Not surprisingly, the case made headlines, and the fear of superbugs was stoked by the widely reported fact that there was nothing available in the United States to treat her infection. In the wake of that story, but not for the first time, public health organizations warned that superbugs pose a real and potentially catastrophic risk to humans. Carbapenem-resistant Enterobacteriaceae (CRE), which has been called the "nightmare bacteria" by U.S. health officials because it can kill up to 50 percent of people who it infects. The woman who contracted the superbug in India was infected with CRE. Acinetobacter baumannii, which occurs most often in intensive care units and other healthcare environments with patients who are very sick. Pseudomonas aeruginosa, which is spread via contaminated medical equipment that is not cleaned properly or via the hands of healthcare workers.